The Falcon 9 does its thing. The SpaceX Falcon 9 rocket sitting on the pad at Kennedy Space Center doesn’t look too different from its predecessors, but it represents the culmination of two decades worth of rocket engineering at Elon Musk’s space company. The fifth iteration of the Falcon 9 rocket, called a “Block 5,” it is intended to be the final version of the company’s workhorse orbital lifter, capable of being reused ten times or more with minimal refurbishment between flights. Today, it will lift a Bangladeshi satellite into orbit, but its final purpose is to show NASA it is safe to carry astronauts to the International Space Station next year. The first version of the Falcon 9 flew in 2010 as part of a NASA program designed to create a commercial cargo service to the space station, after the space shuttle program was cancelled for being too costly, complex and ultimately dangerous. Despite setbacks like a 2015 mission failure and a 2016 fueling accident that destroyed a rocket, the Falcon 9 has gone to orbit fifty-three times in the last eight years. Now, to complete Musk’s vision, the final version of the SpaceX workhorse needs to take people into space. The Falcon 9 is the first reusable, vertical-landing orbital rocket, a process that the company tested during missions. This “test as we fly” approach allowed it to develop its technology more cheaply than it could have otherwise, landing a booster safely for the first time in 2015 and launching a “flight-proven” booster for the first time in 2017. Since then, SpaceX has flown used boosters eleven times. Reusability is intended to save money, but the benefit of not having to build nine new engines and the rest of the first stage for each flight is reduced by the cost of recovering the rocket and refurbishing it between flights. 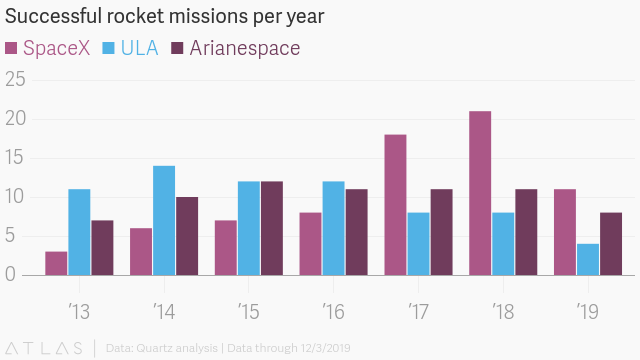 Currently, SpaceX is re-flying boosters after about a six month break, which is far from the forty-eight hour turnaround that Musk and company aim for. The Block 5 is built to reduce turnaround time: It boasts sturdier gear, like titanium fins that steer the booster back to ground without bursting into flame, as the previous aluminum edition would. The engines are bolted, rather than welded, in place, for easier installation and maintenance. A bare section of carbon fiber is left unpainted to save weight and time. 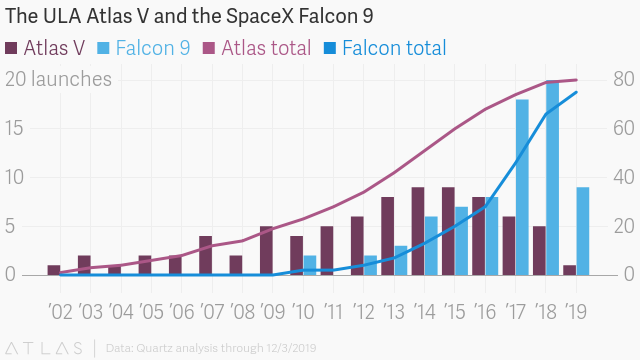 If it works as expected, re-using the Block 5 Falcon 9—already the best deal in the market—could drive up SpaceX’s profit margins at a time when it is trying to recoup development costs and push forward into a new, larger rocket intended to ply the solar system. The Falcon 9’s most important and controversial upgrades concern the engines and the plumbing that fuels them. NASA and its outside advisers have pushed SpaceX on safety, ahead of its first crewed test flight expected in early 2019. One key concern was cracking in the blades of a fan in the engine that forces high-pressure propellant into the combustion chamber. SpaceX worked to develop a more robust design for this critical component, called a turbopump, to ensure that it stands up to repeated re-use. The second and larger problem concerned the tanks that SpaceX uses to store its high-pressure propellant. The tanks are made of carbon fiber lined with aluminum to save weight. However, when the company fills its rocket with liquid oxygen, chilled to super-low temperatures to fit more inside, accidents can happen. After a rocket exploded during fueling ahead of a flight test in 2015, SpaceX launched a redesign of those tanks and how they are used to ensure that such a nasty surprise never happens while humans are onboard. NASA conducted its own independent testing. While the two organizations are still debating how to approach the actual fueling procedure, with some outside advisors concerned about fueling the rocket with astronauts on board, SpaceX’s engineers expect the design of this new rocket to satisfy the space agency’s safety concerns with their advanced technology. SpaceX will need to fly its Block 5 rocket seven times before NASA okays it for human use. At the company’s current flight rate, that could take just a few months.